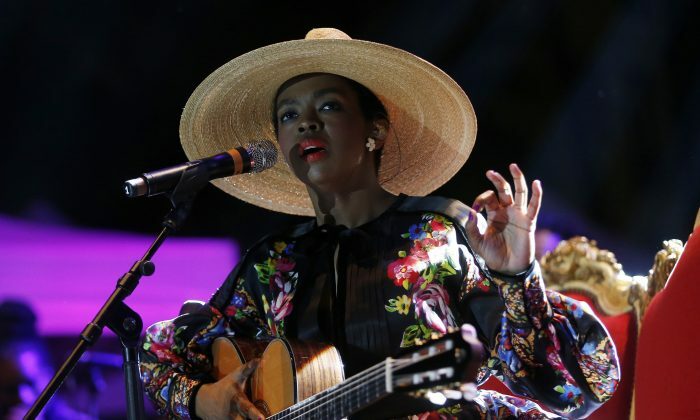 Musician Lauryn Hill was two hours late to a show in Atlanta on May 6. Hill, who was once part of the 90s group “The Fugees” with Wyclef Jean and Pras Michel before going solo, performed for around 30 minutes at the Chastain Park Amphitheatre Friday night. The show start time was 8 p.m. Hill reportedly arrived on stage at 10:20 p.m., and at 11 p.m. her microphone was cut—since that was the closing time for the venue, according to the Guardian. The singer then took to Facebook and apologized to her fans on May 8. She told her fans that her tardiness was not intentional, for she had a very difficult time aligning her energies. “The challenge is aligning my energy with the time, taking something that isn’t easily classified or contained, and trying to make it available for others,” she wrote. “Because I care so deeply about the artistic process, I scrutinize, have perfectionist tendencies, and want space made for spontaneity, which is not an easy process, with the many moving parts on the road,” the Ex-Factor singer continued. Hill, 40, said she had “nothing but love and respect” for her fans in Atlanta and was “figuring out a plan to make it up” to them. In a video posted on Twitter on May 7, Hill said her driver was also to blame for her tardiness. She claimed he had gotten lost before the show. However, this wasn’t Hill’s first time late for a concert; in 2014, she showed up 90 minutes late to a show in London.